Rush with Overnight Letter Service - For orders that must ship next day or same day service. Ships next day to most locations. 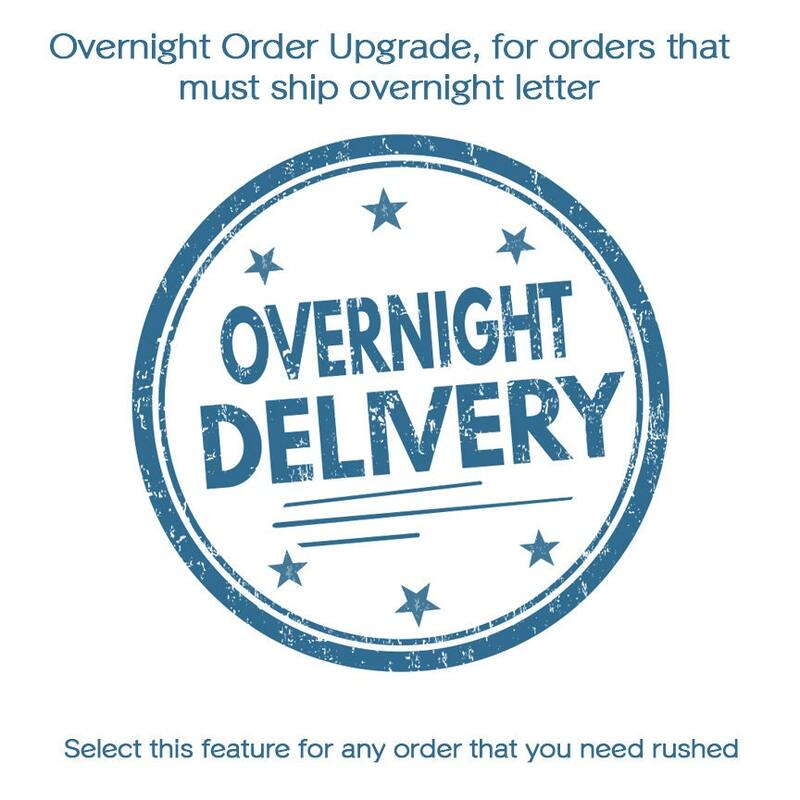 If you need your order rushed, we recommend upgrading to overnight priority express mail. Rush orders ship the same day and generally arrive the next business day. Business Days are defined as Monday - Saturday, excluding federal holidays. This service is strictly for shipping labels only overnight or 2nd day air shipping. It is not for shipping packages like glassware or tins. Please contact us on pricing for shipping express service for those items.